A while back, Ronan contacted us to ask if we could help them build a new website. They had a good gameplan as to what they wanted. We had a blast helping them achieve their goals and I have to say it's a unique site that speaks to how unique of an architecture firm they really are. 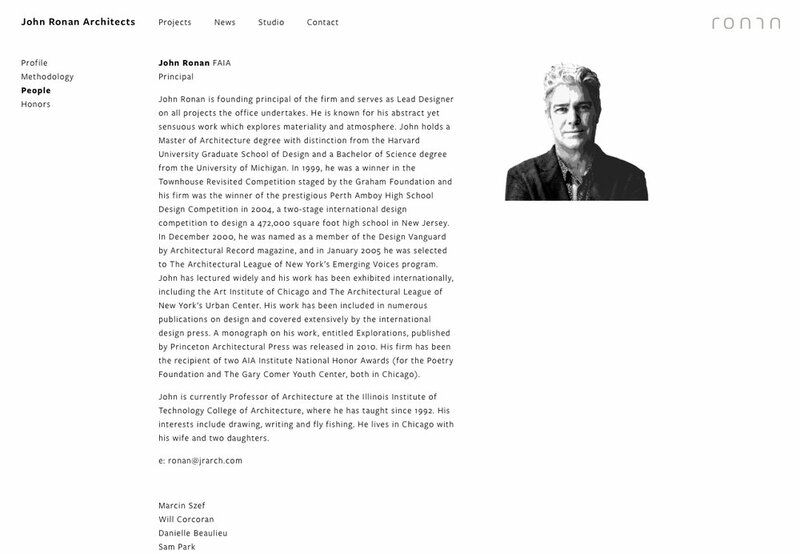 Check out their site at jrarch.com and some examples of their site is below.